2003-2006 Infiniti G35 / G35 X Sedan. 200 6 -200 8 Infiniti M35. 2003-2007 Infiniti G35 Coupe. 2003-200 6 Nissan 350Z. 200 3 -200 8 Infiniti FX 35. 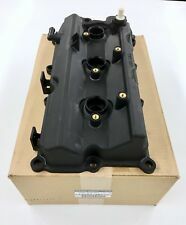 Factory Right Hand Valve Cover. 2006-2008 Infiniti M35. 2003-2007 Infiniti G35 Coupe. 2003-2006 Infiniti G35 / G35X Sedan. 2003-200 6 Nissan 350Z. 200 3-200 8 Infiniti FX 35. 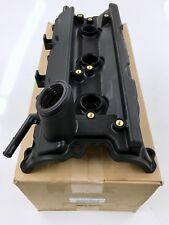 Factory Left Hand Valve Cover. 2003-2008 Infiniti FX35. 2006-2008 Infiniti M35. 2003-2007 Infiniti G35 Coupe. 2003-2006 Infiniti G35 Sedan. 2003-2006 Nissan 350Z. 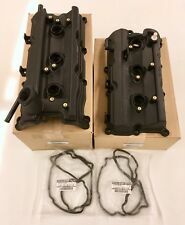 Factory Left & Right Valve Covers & Gaskets. No damage, all spark plug tube seals in good shape. Uninstalled from my own 350z during car part out. VQ35DE 3.5L V6 Engine / Motor. Infiniti M35 2006-2008. Infiniti FX35 2003-2008. Nissan 350Z 2003-2006. Infiniti G35 2003-2006. ORIGINAL NISSAN PART. 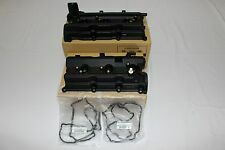 OEM Genuine Valve Cover and Seal Set Left & Right. MADE IN JAPAN. Vehicle Model : G35. Vehicle Make : INFINITI. Engine : 3.5L DOHC SMPI 24-valve V6 Coupe. - The warranty period starts when you take possession of the part. No labor warranty is provided. reference only. NOTE: THIS ITEM FITS 03-06 NISSAN 350Z VQ35DE. OEM RIGHT / PASSENGER SIDE ENGINE VALVE COVER REMOVED OF == 2004 INFINITI G35 COUPE ==. MODEL: G35 COUPE. MAKE: INFINITI. PART NUMBER: N/A. CONDITION: USED.